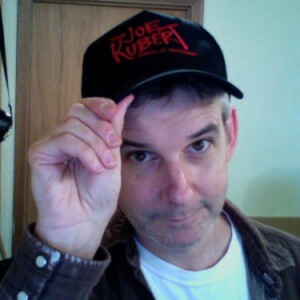 It was great seeing The Kubert School represented at C2E2 this year. 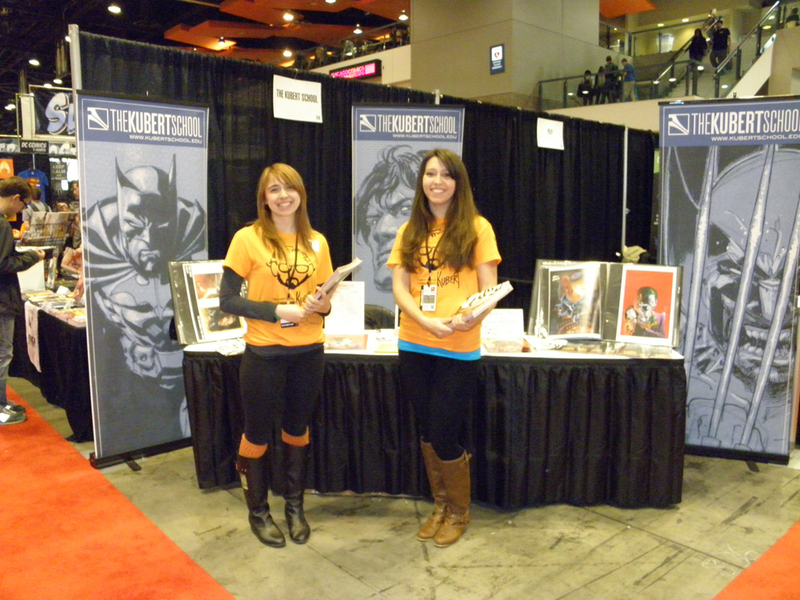 And with the Kubert School you don’t just get some random shill handing out flyers, but two highly skilled Kubert School graduates giving you practical firsthand information, Brigid Allanson (left) and Angie Fernot (right). The two were fielding questions, selling prints and were available for portfolio reviews. Even though there were a lot of publishers at C2E2, those companies had people on the floor to sell merchandise, not to look over an aspiring cartoonists portfolios. With Brigid and Angie you had two artists that have a working knowledge of the field that is just invaluable to the up-and-comer looking to break into the business. I doff my Joe Kubert School hat to them in salute. Disclaimer: Jim Keefe is a graduate of the Joe Kubert School and would be working convention service at a Hyatt Regency right now if not for the skills learned at the school – to which he is eternally grateful. Disclaimer 2: Jim Keefe has no beef with the Hyatt Regency chain of hotels and was even awarded the Hyatt Regency’s Convention Service department’s “Employee of the Month” in 1986 before moving out east to attend the Joe Kubert School. This entry was posted in Conventions, Joe Kubert and tagged C2E2, Kubert School. Bookmark the permalink. As a Kubert graduate you got a network of fellow alum out there. A friendly bunch if ever there was one!